It sounds like a “mission impossible.” But in a few days’ time a Swedish film crew will dive into a remote lake in search of wreckage from one of the mysterious “ghost rockets” that have plagued Scandinavia since the end of the Second World War. The ‘ghost rocket’ wave of 1946 preceded Kenneth Arnold’s sighting of flying saucers and the strange projectiles were seen by thousands of people and never satisfactorily explained. There have been intermittent sightings since the forties and a multi-disciplinary team of researchers from UFO Sweden is mounting an expedition to solve one piece of the riddle. You can watch a teaser for the Swedish TV documentary here and join the team’s Facebook page here. At noon on 31 July 1980, a couple holidaying by a lake in northern Sweden had their attention drawn to a noise in the sky. Looking up they saw a steel grey, elongated cigar shaped object with protrusions on its sides. The rocket-like object descended, turned and landed on the water at the far end of the lake. ”We took the binoculars and looked at the object that was sitting on the water but soon it started to sink with bubbles coming from it”, said Bo Berg, one of the witnesses. The sighting has puzzled the Swedish military and the country’s UFO researchers for decades. But now a team led by my friend, UFO-Sweden’s Clas Svahn, that includes the original witnesses, divers and a film crew, will spend a week at the lake [30 August-3 September]. Inflatable boats, underwater cameras, a side sonar scanner and metal detectors will be used by the expedition and it is hoped they will be able to locate and film the object. Since 1946, nearly 20,000 unidentified objects have been reported by eye witnesses seen in the skies over Sweden. More than 1,000 were sighted during 1946, the year of the Ghost Rockets. The Ghost Rockets got their name from being described as elongated, rocket like, metallic objects with or without wings. The objects often manoeuvred in unusual ways and several landed or crashed in lakes. 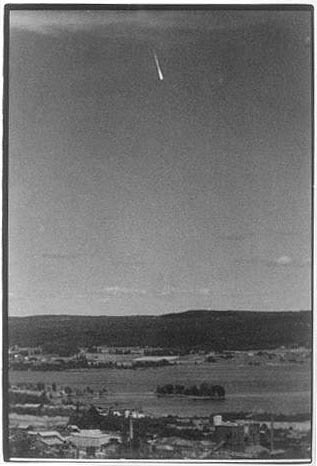 To this day rocket like objects, with no apparent source of origin, are seen in Sweden; a modern day Ghost Rocket phenomenon. What they are or where they come from remains unknown. In 1946 the US and British military argued that the Swedish military was ill equipped to handle the inves- tigation adequately and the British Air Ministry wanted to send a RAF team called “Task force 196” which was held on standby near Heathrow Airport. 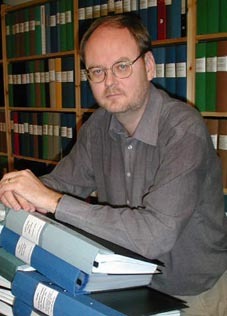 However Swedish Prime Minister at the time, Per Albin Hansson, refused them entry due to the fears that Sweden’s “neutral” status was at risk. This entry was posted in Uncategorized and tagged Clas Svahn, Daily Telegraph, ghost rockets, spook bombs, The National Archives, UFO Sweden, V2. Bookmark the permalink. Ok seems idea fine, but do divers expect to finish expedition in just one week?You can go to safari at the same period of time. Here there are needed tremendous explorations, meaning years of exploration until they find it, like searching for gold. Enjoyed your interview on The Unexplained last month, BTW. Thanks!